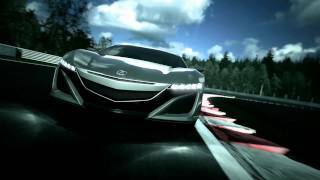 The Acura NSX Concept has debuted in the Gran Turismo 6 for PlayStation 3, which went on sale on 6th December. 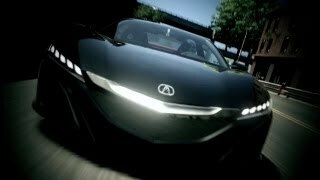 The 'real driving simulator' gives sports car enthusiasts their first opportunity to get behind the wheel of the next generation Acura NSX Concept. 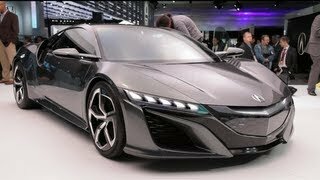 The Acura NSX will be powered by a mid-mounted, direct-injected and twin-turbocharged V-6 engine mated to Acura's Sport Hybrid SH-AWD® (Super Handling All-Wheel Drive) system, , which comprises of three electric motors, and an all-new dual-clutch transmission (DCT). One motor integrated with the V-6 engine and its all-new dual-clutch transmission (DCT) will power the rear wheels and two high-output electric motors will drive the front wheels. This system enables instant delivery of negative or positive torque during cornering to achieve a new level of driving performance. 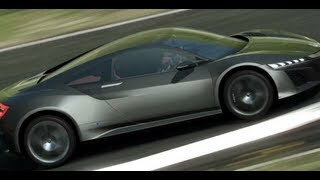 The all-new NSX is expected to go on sale in 2015, so till then enjoy it on PlayStation 3.